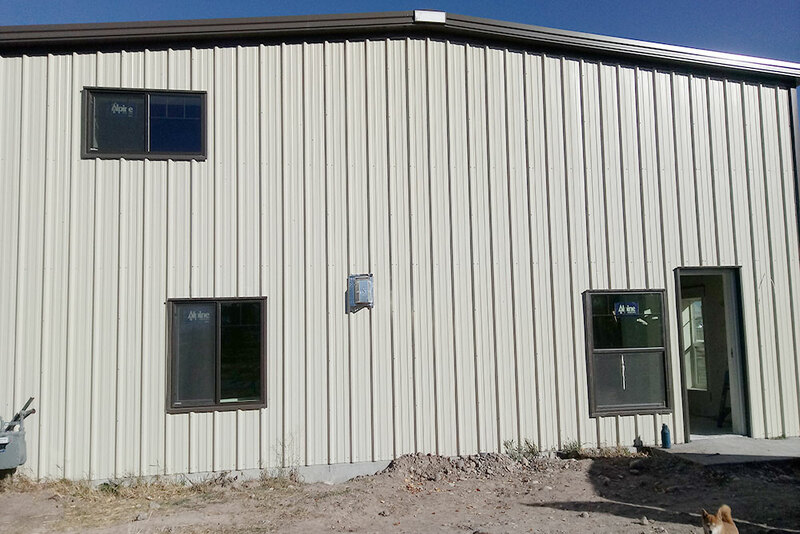 Sunward Steel Buildings, Inc. was pleased to fabricate and supply this pre-engineered steel building on behalf of a customer in Rigby, Idaho, in April of 2017. Nowadays, it functions as the corporate shop and headquarters of Heat & Cool of Idaho, a highly ranked and licensed, bonded and insured HVAC services provider that caters to clients across eastern Idaho. Established in 2004, Heat & Cool of Idaho seeks to provide its customers with premium-quality fixtures and systems that maximize efficiency and comfort, and the company offers free estimates for consumers looking for climate control solutions within their homes and businesses. Comprised of rugged, sustainable steel, this prefabricated metal building stands 40’x80’x16’ in size and serves as a commercial shop building for the leading, longtime HVAC business. Its Stone Beige exterior offers considerable curb appeal, while its durable, corrosion-resistant Galvalume steel roof offers protection from above while boasting a 1:12 roof pitch. Within the steel business’s roof and walls is a foam insulation system that helps keep workers cool in the summer and warm during Idaho’s long, sometimes bitterly cold winters. The insulation system also enhances sound control within the building while helping keep energy costs manageable for business owners. 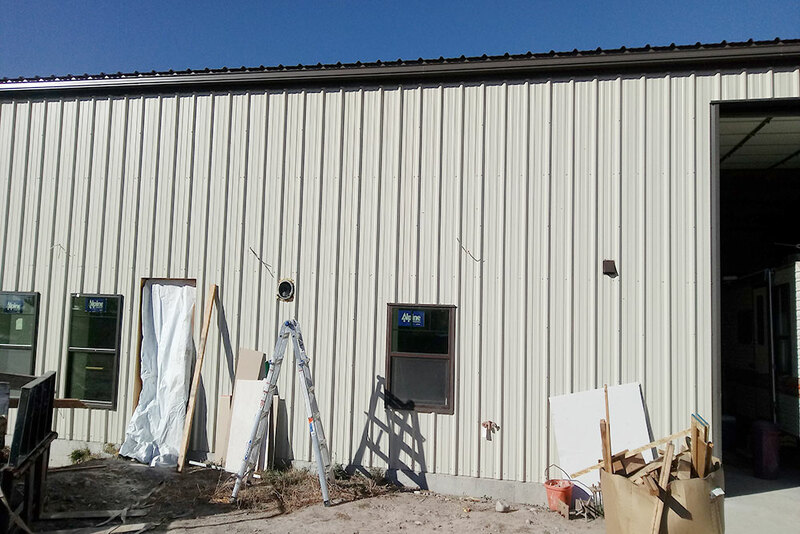 Other notable steel building characteristics include 24-gauge, 6” accent overhang trim and (3) framed openings, among them (1) 3070 opening equipped with (1) 3070 walk door and (2) 14’x14’ framed openings, each enclosing one of (2) 14’x14’ overhead doors. In adherence to building code requirements in place across Rigby, a 90-mph wind speed rating and a 35-psf snow load serve as additional shop attributes. In addition to helping customers across eastern Idaho purchase and repair their heating and cooling systems, Heat & Cool of Idaho performs regular furnace and air-conditioning maintenance services, ensuring that customers’ systems are operating at peak efficiency while keeping electric bills low. This particular prefabricated corporate shop provides a secure, climate-controlled environment for Heat & Cool of Idaho team members to store equipment and conduct other necessary operations. Pre-engineered metal buildings are often a first choice among business owners with industrial or related interests, due in large part to their durable, sustainable and affordable nature. A small city set within eastern Idaho’s Jefferson County; Rigby is part of the Idaho Falls metropolitan statistical area. The community sits equidistant from Idaho Falls and Rexburg. Considering purchasing a prefabricated steel building for commercial, industrial or other use in Idaho or another part of the country? Click here for a price quote.